I've always been obsessed with keeping my teeth as white as they can be. I whitened my teeth almost everyday when I was younger, as you can imagine that wasn't so good for my teeth. We all have a beauty horror story, right? One time when I was whitening my teeth with a tray, I decided it would be a great idea to take a nap.... woke up three hours later to bleached gums and a feeling that my teeth were going to fall out! Luckily my gums went back to their normal color but my teeth never fully recovered, after that they were so sensitive to everything. 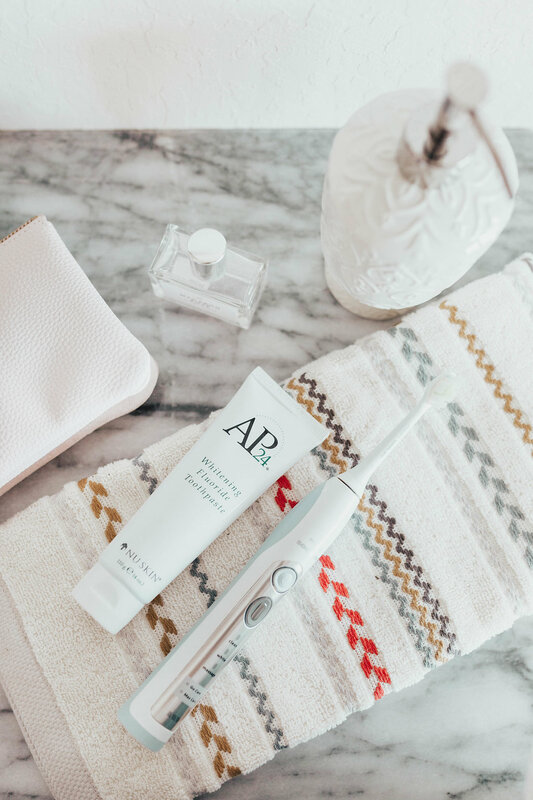 Addictions don't die that easy, I've searched high and low for something that will whiten my teeth without making my teeth so sensitive. 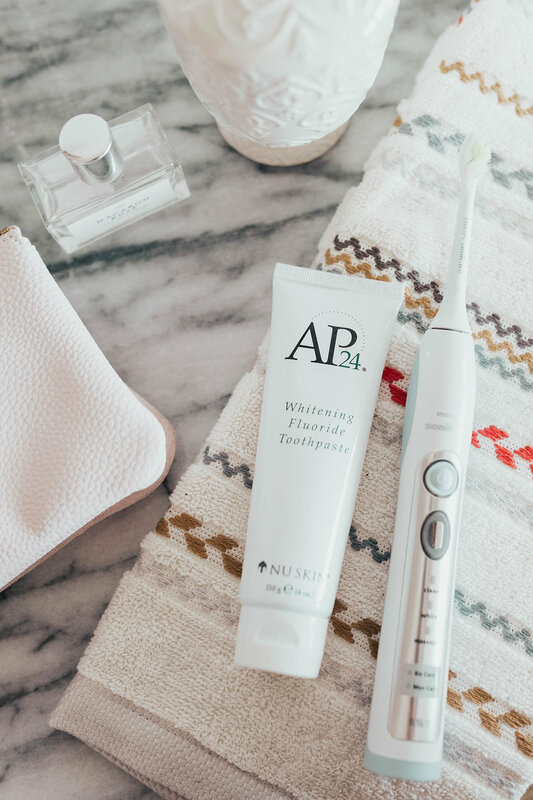 I was recently introduced to AP-24 Whitening Fluoride Toothpaste by Nu Skin. 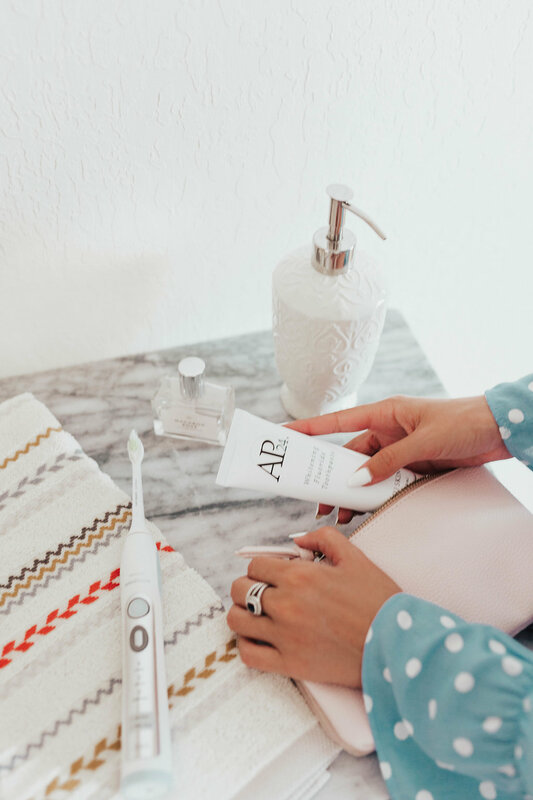 This lovely toothpaste lightens teeth without peroxide while preventing cavities and plaque formation. After using this toothpaste my teeth feel so clean and smooth! The vanilla mint flavor is also refreshing not like other whitening toothpaste. And the best part is, my teeth are now whiter without the use of any harmful peroxides (not to mention my teeth aren't sensitive anymore!). Smiling in confidence thanks to Nu Skin; buy yours directly here! DG toothpaste is the only make of toothpaste I've ever attempted and I've always been pleased with their goods. I was really astonished to note a difference after utilizing DG toothpaste Sensitive following only one 7 days. I'm usually someone to mock individuals sorts of advertisements, thinking they'll never function, but following using this, I was in a position to eat ice-cream once again – painless http://dgtoothpaste.com!